The bright autumn colors are accented with tight embroidered details. 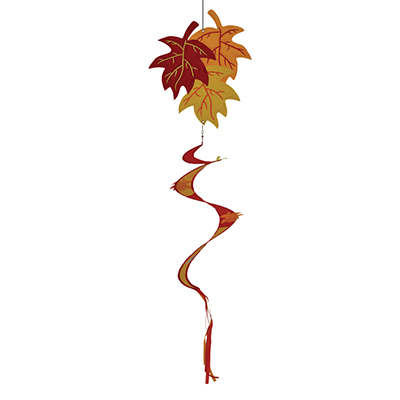 The two dimensional Autumn Leaves are accompanied with a twister tail neatly adorned with leaves and color coordinated streamer tails. They are made of durable materials for lasting enjoyment. Stuffed lightly to add depth to the two dimensional design.